Gestational diabetes mellitus (GDM) occurs during pregnancy and is characterized by an increase in blood sugar levels. As the causes of GDM are varied, doctors recommend every pregnant woman to get screened for this condition. If GDM is left undiagnosed and untreated, it can lead to various gestational diabetes complications in the mother as well as the fetus. Jaundice in the fetus or the newborn is one of the potential gestational diabetes complications. Gestational diabetes complications in the mother could include one or more of the following. The complications of gestational diabetes may force the premature delivery of the baby. With proper treatment, it is absolutely possible to have a healthy baby despite having gestational diabetes. If you’re an expectant mother, it is recommended that you get screened for GDM through a gestational diabetes test as per the advice of your obstetrician, to avoid potential gestational diabetes complications. Following a diet for gestational diabetes is also a step in the right direction. Gestational Diabetes Mellitus (GDM) is a condition characterized by an increase in blood sugar levels, of various degrees, during pregnancy. GDM occurs when the body’s insulin supply is insufficient to regulate blood glucose levels. Get regular antenatal checkups and seek further advice from your obstetrician on how to prevent gestational diabetes. The diagnosis and treatment of gestational diabetes mellitus is important to avoid maternal and fetal complications. The gestational diabetes test can help in this regard. The American Diabetes Association recommends screening the expectant mother for GDM during her early antenatal visits if she belongs to the high risk group, or between the 24th and 28th week of her pregnancy if she has no history of GDM. Take up activities like yoga and meditation to relieve stress. Try stress busters like deep breathing exercises. Regularly practice relaxation techniques like listening to music. Ensure that your food intake is less than the amount of energy you spend. Include vegetables and greens in your meals. Eat plenty of fruits, but avoid fruit juices as far as possible. Increase the intake of foods rich in fiber and decrease the intake of foods rich in carbohydrates. Keep your consumption of foods rich in proteins and cereals at moderate levels. Minimize your intake of fried food and foods rich in fat. Avoid sweets and dairy products. Fight the temptation to snack between meals and while watching TV. 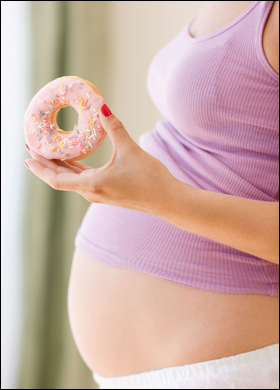 It is important to avoid eating foods rich in sugar and fat for gestational diabetes prevention. If you have any risk factors like obesity, a family history of diabetes, previous abortions, or high blood pressure, consult your physician before planning a pregnancy. GDM can occur in any pregnant woman. In some cases, it persists even after the duration of the pregnancy has passed. As a result, it is important to learn how to prevent gestational diabetes mellitus before planning to have a baby. Gestational Diabetes Mellitus (GDM) is characterized by an increase in blood sugar levels, and this occurs in various degrees. This type of diabetes is first detected during pregnancy through gestational diabetes symptoms. GDM occurs due to a drop in the supply of insulin, especially when the supply is inadequate to meet the tissue demands for normal blood glucose regulation. The condition can be managed by planning a good diet for gestational diabetes. 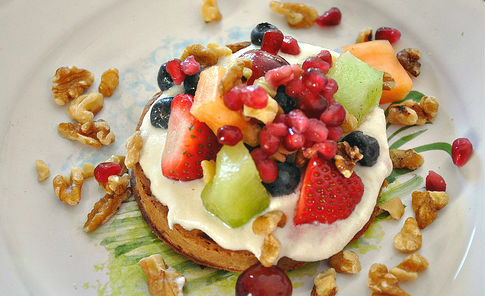 A healthy breakfast is a must-have in a diet for gestational diabetes. Why Follow A Diet For Gestational Diabetes? The major nutrients in any diet – carbohydrates, protein, and fat, have a net affect on blood glucose levels. For this reason, it is necessary to have the right balance of these nutrients in your diet. A balanced diet (that has all the vital nutrients), regular insulin, and physical activity are the three factors that help maintain best blood sugar levels. It is also important to keep the carbohydrate content of the diet consistent on an everyday basis for the same reason. This is because carbohydrates are digested quickly and they often contribute to an increase in the blood sugar level. The right diet for gestational diabetes should be a balanced diet that mainly contains carbohydrates (60-70%), fat (15-20%), proteins (20-25%), and dietary fibre (25gms/1000Kcal). Here are some dos and don’ts you should note when it comes to choosing a gestational diabetes diet plan. If diet management does not control your blood sugar levels, you may be prescribed insulin therapy. Most women who develop gestational diabetes will not need diabetes medicines or insulin, but some will. Ensure that you consult your doctor whenever you’re confused on what to include in your diet for gestational diabetes. Gestational diabetes mellitus (GDM) is a condition that is associated with an increase in blood sugar levels in a pregnant individual. Gestational diabetes symptoms are exhibited when the insulin supply in the body decreases to a level where it is inadequate to meet the demand for normal blood glucose regulation. Blurred vision, caused by damage to the ocular blood vessels, is one of the gestational diabetes symptoms. This problem varies from diabetes mellitus through the fact that it is first diagnosed during the pregnancy cycle. There are many signs and symptoms associated with gestational diabetes that might indicate the presence of a problem. These can lead on to cause gestational diabetes complications over time. These have been given below. Women who suffer from gestational diabetes will face the need to frequently urinate, to clear the excess sugar in the blood. Along with the clearance of glucose, the loss of water in the form of urine leads to dehydration. This results in the person experiencing intense thirst and a dry mouth. Despite an adequate intake of food, gestational diabetes is characterized by an increase in hunger. This is due to the failure of the cells to utilise the glucose in the blood, due to the lack of insulin. Women with gestational diabetes might significantly lose weight, and such weight loss might appear unintentional and in no way related to their diet or exercise routine. This is due to the inability of the cells to utilise glucose. Feeling weak and tired even after completing minimal work is one of the main gestational diabetes symptoms. Excess glucose in the blood causes damage to the blood vessels in the eyes. This leads to retinal damage, causing a disruption in normal vision. Elevated blood sugar levels lead to an increased amount of glucose in all bodily secretions. This also weakens the normal immunity of the body, causing frequent infections. Nausea and vomiting rank among the minor gestational diabetes symptoms. This symptom is independently non-conclusive, but points towards gestational diabetes when it accompanies the other symptoms. Once the gestational diabetes symptoms start showing, a glucose tolerance test can help in confirming the condition. Gestational Diabetes Mellitus (GDM) refers to an increase in blood sugar levels, to various degrees, during pregnancy. GDM occurs when the tissue demands for normal blood glucose regulation are not met due to inadequate insulin supply. Gestational diabetes mellitus can lead to premature delivery of the baby. 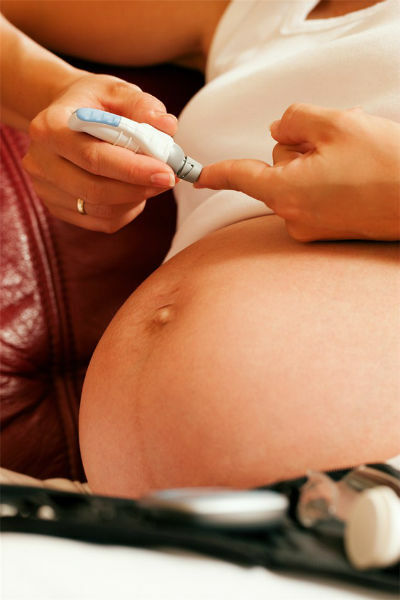 Gestational Diabetes Mellitus is diagnosed by conducting an oral glucose tolerance test. The American Diabetes Association recommends that this gestational diabetes test be conducted during the initial antenatal visit (for women with high risk factors) or between 24-28 weeks of pregnancy (in women with no previous history of GDM). Gestational diabetes complications can affect both the mother and the fetus. These are the complications that pregnant women with GDM can face. Vaginal Bleeding: GDM may lead to the disruption of the placenta (the organ that supports the blood circulation of the mother and the fetus), leading to vaginal bleeding. This may also cause pain in the abdomen. Premature Labor: Diabetes during pregnancy may lead to premature delivery of the baby. Cesarean Deliveries: GDM often results in overweight babies, and this could make it impossible or tough for the mother to have a normal vaginal delivery. Delivery through a Cesarean section is recommended in such cases. 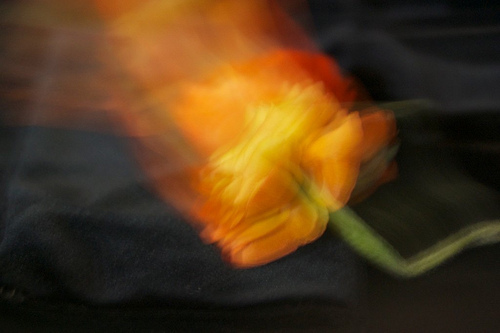 Miscarriage: There is a higher than normal risk of miscarriage. Hypertension: The mother may be prone to hypertension. Recurrence Of Diabetes: Diabetes may occur again later in life. These are the complications that GDM can cause in the fetus. Macrosomia: Gestational Diabetes Mellitus increases the risk of the baby being large for its gestational age, i.e. weighing more than 4 kg This is known as macrosomia and it is caused by over-nutrition. Neonatal Hypoglycemia: The baby’s blood sugar can drop to very low levels after birth, since it doesn’t receive the requisite blood sugar from the mother. Trauma: There is an increased risk of trauma to the baby during delivery. Congenital Malformations: Diabetes can affect the developing fetus throughout the pregnancy. In early pregnancy, a mother’s diabetic condition can result in birth defects and an increased rate of miscarriage. Many of the birth defects that occur affect major organs such as the brain and heart. Jaundice: GDM can cause an accumulation of a waste product called bilirubin in the baby’s blood, which can in turn can cause jaundice. Respiratory Distress Syndrome: In many cases,The baby’s lungs are not fully developed and cannot provide enough oxygen to the rest of his body. Low Calcium Levels: The calcium levels in the baby’s body are decreased. Obesity: There is a possibility that the child will grow up to be obese. Recurrence Of Diabetes: The baby may get diabetes again later in life. Reducing your weight, following a low-cal diet for gestational diabetes, and getting regular insulin doses can go a long way in helping you counter GDM. 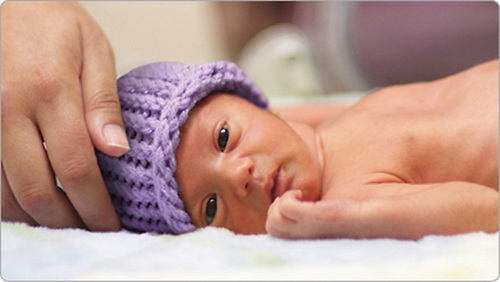 With proper treatment, you can deliver a healthy baby despite having diabetes. If you take proper precautionary measures against gestational diabetes mellitus, especially if you are a high risk candidate, you can make sure that you have a smooth delivery and a normal baby.